The thyroid gland normally secretes which of the following substances into the serum? 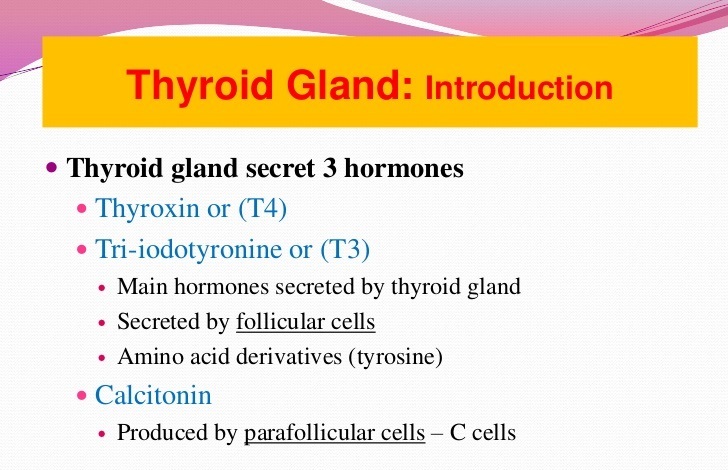 Th e major compounds secreted by the thyroid gland, after its stimulation by thyrotropin, are T3 and T4. When released from the thyroid, T3 and T4 are transported by plasma proteins—namely TBG and albumin. 1. The thyroid gland synthesizes, stores, and secretes thyroxine (T4) and triiodothyronine (T3) hormones that are important to growth, development, metabolic rate, as well as the maintenance of healthy, mature, central nervous and skeletal systems. 2. Thyroid hormone secretion and transport are controlled by thyroid stimulating hormone (thyrotropin; TSH). TSH is released by the anterior pituitary gland that is triggered by thyrotropinreleasing hormone (TRH), secreted from the hypothalamus. a. Stimulation of the thyroid by TSH produces increased levels of thyroid hormone ( circulating free T4 and free T3), which, in turn, signals the pituitary to stop releasing TSH (negative feedback). b. Conversely, low blood levels of free hormone trigger pituitary release of TSH, which stimulates the thyroid to secrete T4 and T3 until free hormone levels return to normal. At this point, the pituitary gland ceases to release TSH, which completes the feedback loop. c. This negative feedback mechanism attempts to maintain the level of circulating thyroid hormone within a narrow range. 3. The thyroid gland also secretes calcitonin, which plays a role in calcium homeostasis by reducing blood calcium ion concentration.